Over the past two years many journalists, bloggers and Star Wars fans have sat in the very bar where Mark Hamill, Daisy Ridley, Ram Bergman, Jimmy Vee & Rian Johnson have drank and partied after the filming of The Last Jedi. 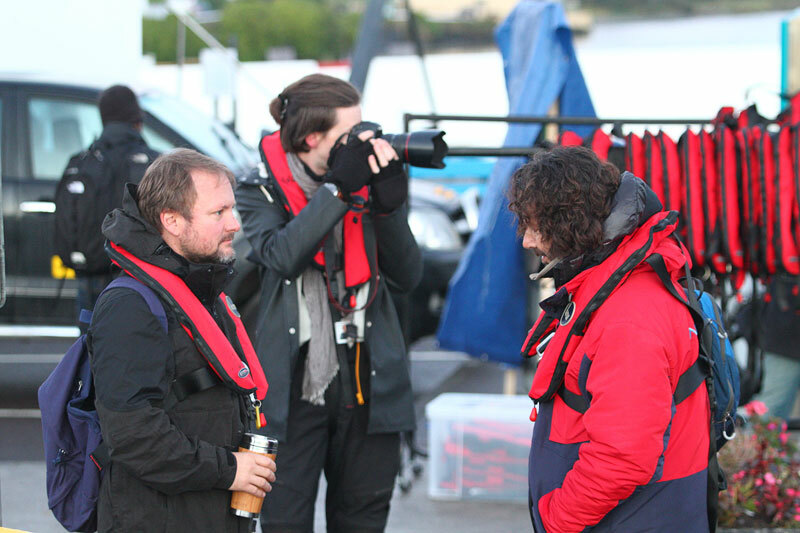 When you visit The Moorings you can see the room where the Star Wars crew camped out for pre-production meetings and plotted the scenes for the amazing movies The Force Awakens and The last Jedi where filming took place on Skellig Michael. 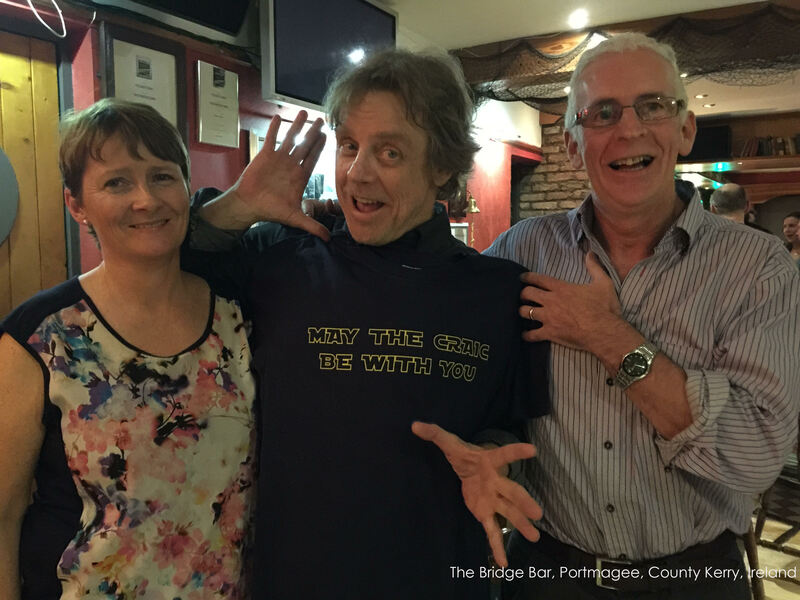 Mark Hamill has even poured a pint of Guinness behind the Bridge Bar and now you can enjoy the same experience with The Bridge Bars own ‘Pint Pour’ experience where you even get to take home your own t-shirt like Mark Hamill wore. Copyright Gerard Kennedy 2015. Visit www.moorings.ie for contact and licensing information. The Porgs are the newest addition to the Star Wars films, created by Rian Johnson and based on the Puffins who live on Skellig Michael. The town of Portmagee decided to have some fun during the month of December and named the town PORGmagee to celebrate the launch of The Last Jedi in movie theatres. 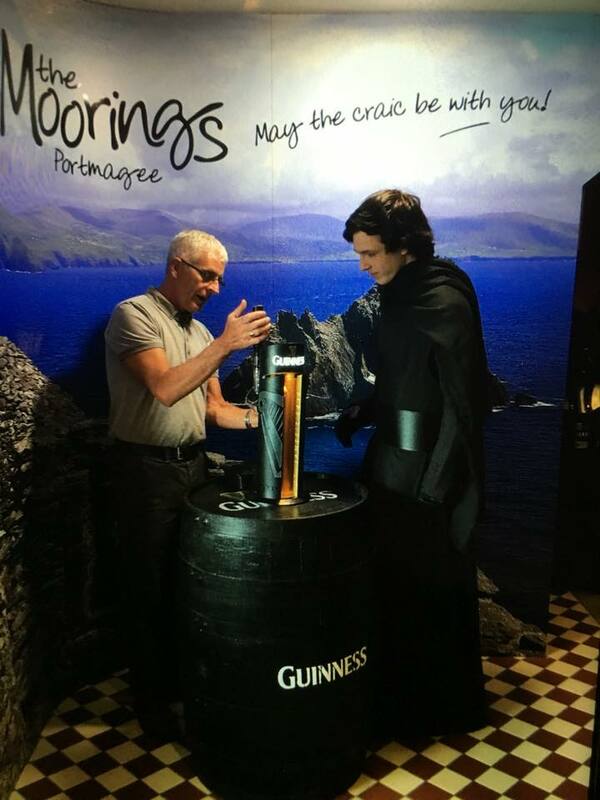 For Star Wars fans visiting Portmagee, in County Kerry a fabulous accommodation package has been created and already enjoyed by many visitors. We hope you like it and look forward to sharing our stories of the pre production happenings that occurred right here in the heart of The Moorings – if only the walls could talk! !